If World Bank Group is not the master of language being used in the world economy then who else is? Is it the “financial Interpol” as well? The body which undertakes financial surveillance is a “financial Interpol” for sure. It will have us accept that only the master can grasp and communicate the meaning of ‘surveillance’. IMF commiserates with the lesser mortals stating that it knows that ‘surveillance’ does sound terrible. This is understandable. This publication informs that the first official use of the term came in June 1974. IMF was concerned that “Few, if any countries, however, were prepared to be subjected to surveillance in that strong sense. The 1980s therefore became a decade of experimentation, in which the staff and management of the Fund constantly probed and prodded to see how far they could go in persuading countries to respond positively to Fund analysis and advice.” This concern of IMF is deeply touching. But IMF’s efforts did yield results and by the mid-1990s, a “silent revolution” had happened in countries like India, it infers. By 2013, at least citizens of 35 countries and their heads know exactly what ‘surveillance’ means. It does sound terrible. Both National Security Agency (NSA) of the US and World Bank Group have a different and benevolent sounding meaning in mind. The publication admits, “Even among IMF staff, those questions did not yield uniform answers.” This incomprehension among them is understandable because The Concise Oxford Dictionary of Current English tells them that it means “close observation especially of a suspected person.” Heads of financial institutions, Barack Obama and Dr Manmohan Singh should consider getting this dictionary meaning changed through their power of persuasion, peer pressure and advertising to avoid confusion that still exists despite relentless and sincere efforts at least since 1974. This IMF publication states, “If surveillance was to have any substance, the Fund would have to develop that influence: through the power of persuasion (Fund management and staff to country authorities), through peer pressure (country to country in the forum of the Fund), and through publicity (Fund to the public). The relative merit of each of these channels was always the subject of much debate. Was publicity appropriate, or would it conflict with and even nullify the benefits of persuasion and peer pressure?” The publication uses the word ‘Fund’ to refer to IMF. Hasn’t India become “a faithful confidant” of World Bank Group? There is a chapter “On the Map: Making Surveillance Work” under the section Revolutions in the International Monetary System in the publication titled Silent Revolution: The International Monetary Fund 1979–1989 by James M Boughton published in 2001. The chapter deals with the principles and procedures of surveillance. It may be recalled that Pranab Mukherjee, our President was deeply engaged with the World Bank in various roles from 1982 to 1985. Notably, it was Mukherjee who formed Unique Identification Authority of India (UIDAI) and announced its setting up during the 2009-10 budget speech. He was the Finance Minister from 24 January 2009 to 26 June 2012. In fact, it is remarkable that within four days of taking over as Finance Minister, he got the UIDAI notified on 28 January 2009 by the Planning Commission. In all likelihood, he was part of the Empowered Group of Ministers (EGoM) too, which took a decision about the formation of UIDAI on 4 November 2008. It may recalled that while presenting the Union Budget in 2011-12, Mukherjee, the then Union Finance Minister informed the Lok Sabha that Technology Advisory Group for Unique Projects (TAGUP) headed by Nandan Nilekani, chairman, UIDAI has submitted its report dated 31 January 2011 and its recommendations have been accepted in principle. As a consequence the sovereign function of tax collection is all set to be handed over to an entity called National Information Utility (NIU), which will be a private company with a public purpose and with profit making as the motive but not profit maximizing. This is yet another lesson either in language or in linguistic corruption. 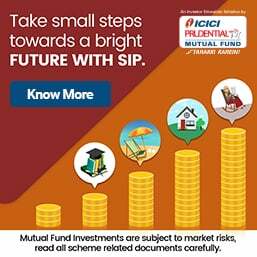 Earlier, it must be recalled that on 11 January 2011, Business Standard reported that “India has sought an assessment under the Financial Sector Assessment Programme (FSAP) of the International Monetary Fund (IMF) and the World Bank. “India did a self-assessment (by the Committee on Financial Sector Assessment, or CFSA) of its financial sector in 2009. This has given us the confidence to get our financial sector evaluated by international financial institutions like IMF and the World Bank. We have voluntarily sought a full-fledged Financial Sector Assessment Programme,” the then finance minister Mukherjee said at the second International Finance Conference at the Indian Institute of Management (IIM) Calcutta. This is an admission of the fact that India has subjected itself to the surveillance principles and procedures of IMF. By now Indians know how tricky the use of word ‘voluntary’ is when the Bank is involved in any way. Chronologically, after this announcement by Mukherjee, Government of India and the World Bank signed a loan agreement of $150 million on 10 May 2011 for the e-Delivery of Public Services Development Policy Loan under the National e-Governance Plan (NeGP). NeGP is a flagship e-governance initiative approved in May 2006 as a national program to create 'single window' Common Services Centers. NeGP has identified 27 priority projects to be transformed using e-services including details on land records in some 250,000 areas. This loan from the International Bank for Reconstruction and Development (IBRD) has a 5-year grace period and a maturity of 18 years. No one will dispute that World Bank has been an undemocratic organization since its inception and is likely to remain so for all times to come. This motivated outreach towards citizens at large especially in developing countries merits attention. It is noteworthy that the annual reports of Congress party led United Progressive Alliance (UPA) refers to biometric-based Aadhaar/UID as parts of its e-governance initiative. Earlier on 20 April 2010, the World Bank Group announced that it has thrown open the doors to its statistical databases to provide free, open, and easy access to its comprehensive set of data on living standards around the globe - some 2,000 indicators, including hundreds that go back 50 years. It appears to be a case of paving the path for developing countries. And on 23 April 2010, the Bank launched its eTransform Initiative by signing a memorandum of understanding (MoU) with France and South Korea besides transnational companies like L-1 Identity Solutions, IBM, Gemalto, Pfizer and others. It was launched in the presence of Ministers of Finance and Communications from many developing countries. The World Bank is currently funding 14 projects related to e-government and e-ID around the world. 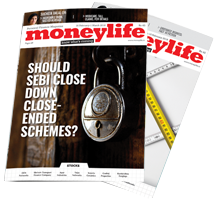 It merits recollection that Mukherjee was the Finance Minister during January 1982 to December 1984, which is part of the relevant period with which the IMF publication deals. He led the Indian delegation at the annual meetings of the World Bank and International Monetary Fund (IMF) during 1982, 1983, 1984, 2009, 2010 and 2011 and he was on the Board of Governors of the IMF during 1982 to 1985 and during 2009 – 2012. Mukherjee was rated one of the best five finance ministers of the world in 1984 according to a survey conducted by “Euro Money” Journal published from New York and was declared ‘Finance Minister of the year’ for Asia in 2010 by “Emerging Markets”, the journal of record for the World Bank and the IMF. Unless one is not acting as a foundation stone of the “central pillar” of World Bank Group, why will it shower accolades on him and Nilekani? There is a revelation in the publication that IMF is concerned with the “viability of military spending” as well. IMF took a formal position on the role of military spending in national economic policy in October 1991. At that time, executive directors concluded that, “as military expenditure can have an important bearing on a member’s fiscal policy and external position, information about such expenditure may be necessary to permit a full and internally consistent assessment of the member’s economic position and policies” If this is not an exercise in surveillance, which admittedly sounds ‘terrible’, what else is it? Metamorphosis in simple words means transformation. Metamorphosis of the state, the government and citizen is the core motive of electronic and biometric identification as part of the Transformational Government initiative of the World Bank Group. As a man of Indian National Congress, Nilekani, the biometric data collector, knows quite well how his party operates. Mukherjee resigned from the party on 25 June 2012 prior to contesting to the office of President of India. His presidential speech linking welfare services to biometric Aadhaar/UID faces legal challenge. In a related development, a RTI application filed by Qaneez-e-Fatemah Sukhrani, an urban affairs researcher sought a copy of MoU/ Contract executed between UIDAI and/or Planning Commission with L1 Identity Solutions Operating Company, currently a subsidiary of French conglomerate Safran Group, Sagem Morpho Security Pvt Ltd, a subsidiary of Safran Group, Ernst & Young, a US company, Accenture Services Pvt Ltd, a US company and ID Solutions company and the tender cost. At the time of award of contract to L1 Identity Solutions Operating Company was a US company. It is relevant to reiterate in this context that Nilekani was given ID Limelight Award at the ID WORLD International Congress, 2010 in Milan, Italy on 16th November wherein Safran Morpho (Safran group) was a key sponsor of the ID Congress. 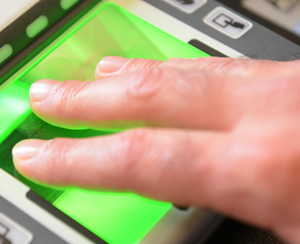 Its subsidiary, Sagem Morpho Security Pvt Ltd has been awarded contract for the purchase of Biometric Authentication Devices on 2 February 2011 by the UIDAI. Earlier, on 30 July 2010, in a joint press release, it was announced that “the Mahindra Satyam and Morpho led consortium has been selected as one of the key partners to implement and deliver the Aadhaar program by UIDAI (Unique Identification Authority of India).” This means that at least two contracts have been awarded to the French conglomerate led consortium. Is it a coincidence that Morpho (Safran group) sponsored the award to chairman, UIDAI and the former got a contract from the latter? It may also be noted that UIDAI awarded contracts to three companies namely, Satyam Computer Services Ltd (Mahindra Satyam), as part of a “Morpho led consortium”, L-1 Identity Solutions Operating Company and Accenture Services Pvt Ltd of US for the “Implementation of Biometric Solution for UIDAI” on 30 July 2010. Following Central Information Commission (CIC)’s intervention in the matter of application filed by Col Mathew Thomas, an octogenarian defence scientist, and submissions by the author on his behalf, UIDAI shared its contract agreement with French and US biometric technology companies but crucial pages are missing from the contract agreement after the CIC heard the matter on 10 September 2013. CIC has ruled, “Any agreement entered into by the government is an agreement deemed to have been entered into on behalf of and in the interest of ‘We the people’ in the past. For long UIDAI refused to share copy of all contracts given to French and US biometric technology companies, namely, L-1 Identity Solutions and Accenture respectively. L-1 was a US company till recently. Sushma Singh, the Information Commissioner gave UIDAI’s letter written to CIC submitting that "contractual obligation in respect of BSP (Biometric Solution Provider) contracts has expired. Therefore, UIDAI has no objection in sharing the following contract details:-a) Copy of contract of UIDAI with M/s L-1 Identity Solutions for Biometric Technology; and b) Copy of contract of UIDAI with M/s Accenture for Biometric Technology". After examining these documents with regard to the Accenture for Biometric Technology, it has come to notice that the first 237 pages appear to be in order but after that there is a one pager titled Annexure J Technical Bid (Technical Bid as submitted by M/s Accenture Services Pvt Ltd). The Technical Bid document is missing. After that there is a one pager titled Annexure K Commercial Bid Commercial (Bid as submitted by M/s Accenture Services Pvt Ltd). The Commercial Bid document is missing. With regard to the L-1 Identity Solutions for Biometric Technology, one noticed that the first 236 pages appear to be in order but after that there is a one pager titled Annexure I non-disclosure agreement as submitted by L-1 Identity Solutions Operating Company Pvt Ltd. But this document is missing. After that there is a one pager titled Annexure J Technical Bid as submitted by L-1 Identity Solutions Operating Company Pvt Ltd. The Technical Bid document is missing. After that there is a one pager titled Annexure K Commercial Bid as submitted by L-1 Identity Solutions Operating Company Pvt Ltd. The Commercial Bid document is missing. UIDAI has been asked for the missing pages from the copies of the contract. The reasoning of UIDAI in its letter to CIC dated 10 September 2013 stating that "contractual obligation in respect of BSP (Biometric Solution Provider) contracts has expired” is flawed in the light of the previous judgment of CIC. Under the Right to Information (RTI) Act, the PIO cannot deny information citing commercial confidence for agreements between a public authority and private party. “Any agreement entered into by the government is an agreement deemed to have been entered into on behalf of the and in the interest of ‘We the people’. Hence if any citizen wants to know the contents of such an agreement, he is in the position of a principal asking his agent to disclose to him the terms of the agreement entered into by the agent on behalf of the principal. No agent can refuse to disclose any such information to his principal,” the CIC said in its order dated 27 July 2009. The Commission was of the view that “The objectives of the RTI Act would be defeated if public authorities claim exemption based on a claim that ‘terms and condition were much more favourable to the government’, and therefore these must be kept away from the Public. In fact public feels that quite often the contrary is the case,” the Commission noted. The CIC observed, “Any so called imaginary moral or reciprocal obligation cannot be permitted to subvert a solemn constitutional and legal obligation” and directed the PIO to provide copy of the agreement. In the contract agreement between the President of India, as purchaser and L-1 Identity Solutions Operating Company, as a "Biometric Solution Provider" it has been officially admitted that the latter is a corporation of US based in Delaware as of 24 August 2010. L-1 has since been bought over by French corporate conglomerate, Safran Group after the US Committee on Foreign Investment in the United States (CFIUS) was convinced that there are no unresolved national security concerns with respect to the transaction. L-1 Identity Solutions announced agreement to be acquired by Safran on 20 September 2010. From the contract agreement between the President of India, as purchaser and Accenture Services Pvt Ltd as a "Biometric Solution Provider" dated 1 September 2010 it is evident that it has not been disclosed that Accenture Services Pvt Ltd is a subsidiary of Dublin, Ireland based Accenture plc, a US company. Till 1 January 2001 it was known as Andersen Consulting. 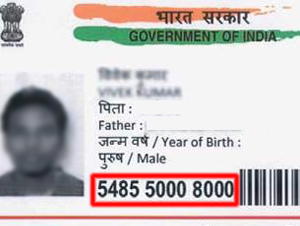 As a consequence of French corporate conglomerate Safran’s purchase of US company L-1 Identity Solutions, the de-duplication contracts of UIDAI’s Centralized Identities Data Repository (CIDR) and Home Ministry’s National Population Register (NPR) which was given to foreign companies on 30 July 2010 to three companies now lies with two companies of French and US origin namely, Safran Group and Accenture. UIDAI has not disclosed whether there has been any fresh agreement between UIDAI and Safran Group and its subsidiaries and who all are the biometric solution providers after the expiry of the “contractual obligations” with L-1 Identity Solution and Accenture. The contract agreement with Accenture Services Pvt Ltd at clause 15.1 it reads: "By virtue of this Contract, M/s Accenture Services Pvt Ltd/Team of M/s Accenture Services Pvt Ltd may have access to personal information of the Purchaser and/or a third party or any resident of India, any other person covered within the ambit of any legislation as may be applicable." The purchaser is President of India through UIDAI. The clause 15.3 reads: "The Data shall be retained by Accenture Services Pvt Ltd not more than a period of 7 years as per Retention Policy of Government of India or any other policy that UIDAI may adopt in future." The clause 15.3 reads: "The Data shall be retained by L1 Identity Solutions Operating Company not more than a period of 7 years as per Retention Policy of Government of India or any other policy that UIDAI may adopt in future." This implies that all the biometric data of Indians which has been collected so far is now available to US Government and French Government. Meanwhile, as of 18 October 2013, Ernst & Young, the firm which had won a contract from UIDAI has agreed to pay $99 million to former Lehman Brothers investors who have accused the auditor of helping Lehman misstate its financial records before the investment bank's collapse triggered a financial crisis in 2008. Lehman is accused of using an accounting practice to misleadingly understate its leverage to make itself appear more financially solvent. In a reported statement Ernst & Young claimed that it is settling the case "to put this matter behind”. It has been alleged that Ernst & Young contributed to the fraud by failing to investigate and ensure the truthfulness of the statements. The question is why Ernst & Young was awarded the contract by UIDAI despite knowledge about its credential at least since 2008. In the matter of National Identification Authority of India (NIAI) Bill, 2010, “NHRC’s views on the NIAI Bill, 2010″ in the Human Rights Newsletter (Vol. 18 No.8, August 2011) reveals that biometric UID/Aadhaar Number has dangerous ramifications is quite relevant in this regard. The Bill seeking the rubber stamp of legitimacy for UIDAI was trashed by the Parliamentary Standing Committee (PSC) on Finance. NHRC’s view was presented to the PSC. NHRC’s view on “need for protection of information” and “the possibility of tampering with stored biometric information” and “disclosure of information in the interest of national security” has been ignored by Congress Party because it has accepted the principles and procedures of surveillance fixed by the World Bank Group. It is apparent that this party is facilitating surveillance of the nation, citizens and the national assets by transnational actors with impunity. The party has structurally adjusted the national institutions to ensure it. Do opposition parties have the political courage to make it an electoral issue in national interest or do they agree with Humpty Dumpty that SURVEILLANCE means “cooperation, partnership, and consultation”? You aren't responding to the surveillance issue discussed in the article and that all UIDAI data will be available to inimical foreign elements. Can't all you propose not be done with a PAN and other existing documents if honestly systematized, though things like black money and 'onion-hoarding' are surely done hand-in-hand with players at the top? Why issue Aadhaar to illegal immigrants in the first place? !